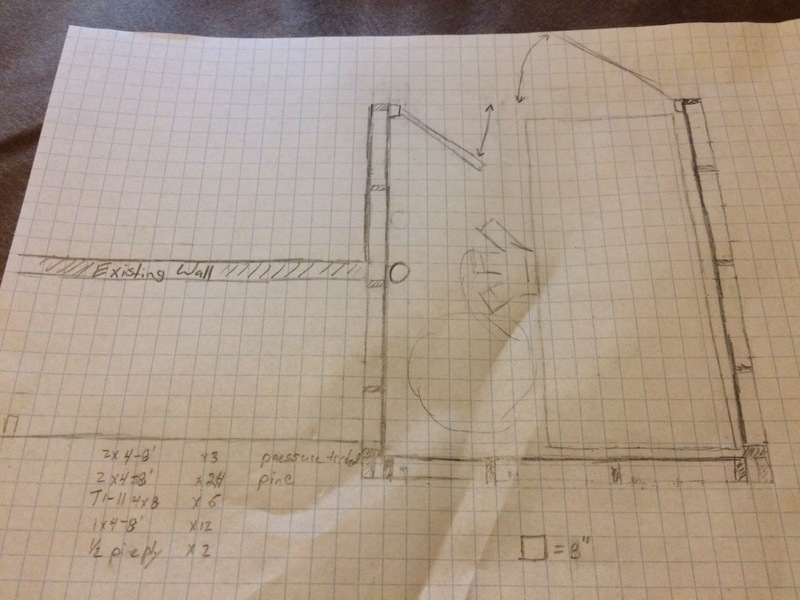 My next project in my workshop makeover series is to build a closet for my dust collector. Why a closet you ask? Well, my dust collector has regular bags that collector dust sized down to a few microns; however, that still means that some very fine dust still gets through. Basically the very fine dust gets sucked from the tool and then gets sprayed into the workshop air. I wear a dual canister respirator made by 3M AO Safety - I feel those paper masks are worthless - but since I have a beard it doesn't seal perfectly. By putting the dust collector in its own little room I can keep the dust a little further away from my lungs. It sounds like a great plan. huh? Well, there are a couple of complications. The first problem is where to put the closet. I don't really want to take any useful space away from my workshop so sinceI haven't solved how to access extra-dimensional space that means bumping out a wall. Wherever the closet goes I need to be able to get into the closet to empty the bags. I also need to take into account where my ducting will run. As a minor consideration I need to make sure the room is vented. It will be sucking in huge amounts of air into the closet and I need to give it a way out. This last consideration is the easiest to solve. I'll leave a hole in the closet wall or door the size of a HEPA furnace filter. 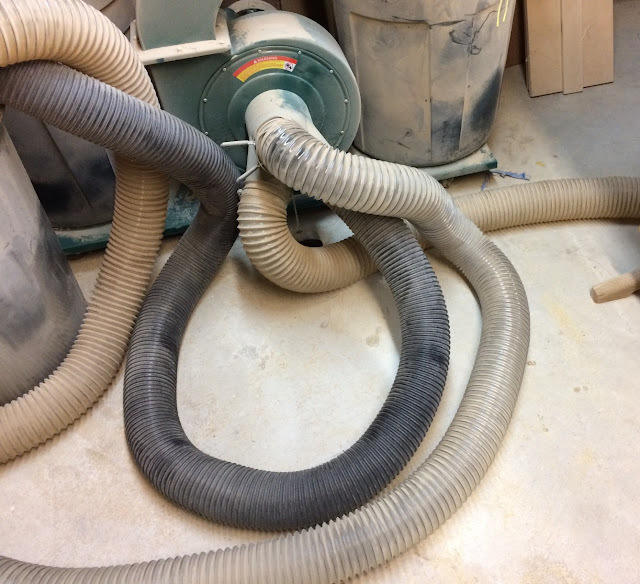 As a bonus, if I can route the air into an area outside my shop I'll be able to put my workshop in negative pressure so air will tend to flow in rather than out carrying dust. Also I think I have an idea of where to put the closet. 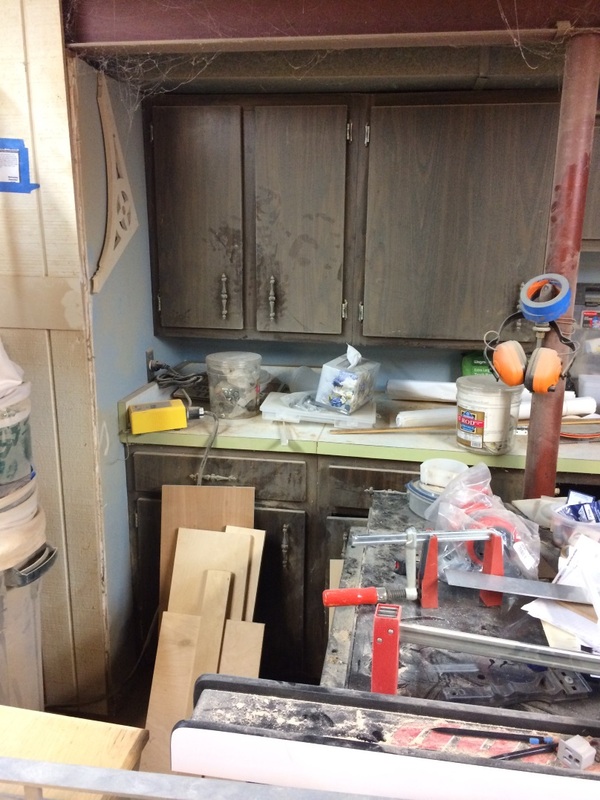 There are cabinets there now but that can be fixed. Now I'm hearing the hew and cry, "But that's storage!" Well yes, you are correct; however, it isn't very good storage. The cabinets really aren't sized appropriately for most of my tools and to get to them today I need to walk around the table saw and climb over the dust collection hoses on the floor. These two factors make them less than ideal. I'd rather trade the utility of storage cabinets for freeing up the floor space my dust collector is currently occupying. 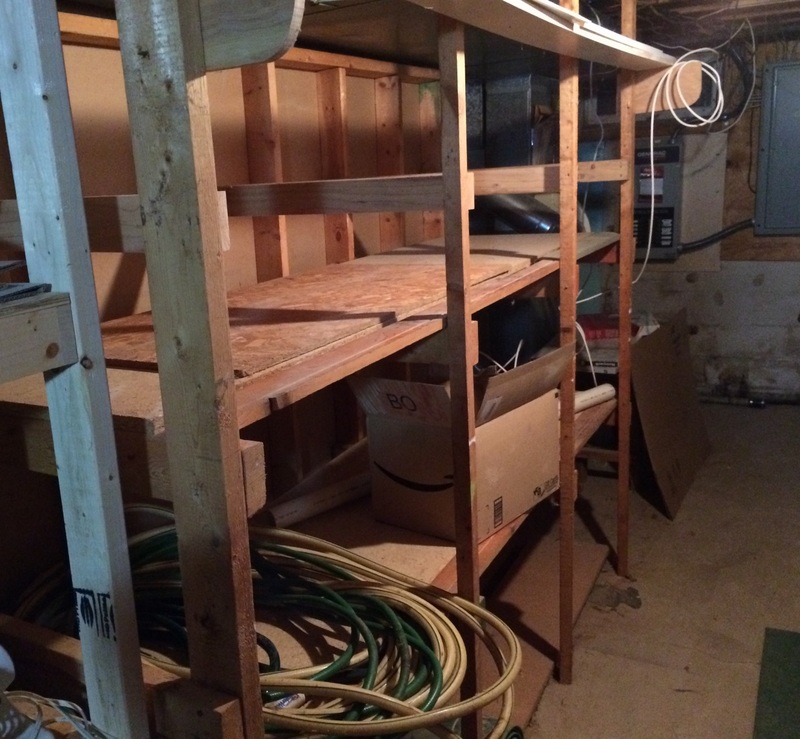 Also, with the addition of my new workbench I have plenty of storage in the shop. The second concern with this space is that just taking the cabinets out will not be enough. I'll need to bump out into the space behind my workshop. This space today is currently occupied by some shelves that were build by a previous homeowner. They are pretty basic and utilitarian. They hold stuff off the ground but I've been wanting to upgrade them for a number of years now. I think I can store all the same stuff I have on them now by purging stuff that I don't need and better utilizing the space with more modular shelves. The back wall of the closet will be in a hallway and I can build in my vents there to get the air outside of my shop. Sure it will be venting right by my utilities but I'll have HEPA filters cleaning the air before it leaves. The central beam is low; however, I'll still be able to put a doorway from my shop into the closet so when I need to clean the bags I can keep the dust in the shop an away from the rest of the house. In actual fact, this blog post is a couple of weeks behind. I actually started the demo of the old shelves a couple of weeks ago and have started building the new shelves to hold all my stuff; however, that's all grist for another blog post later.